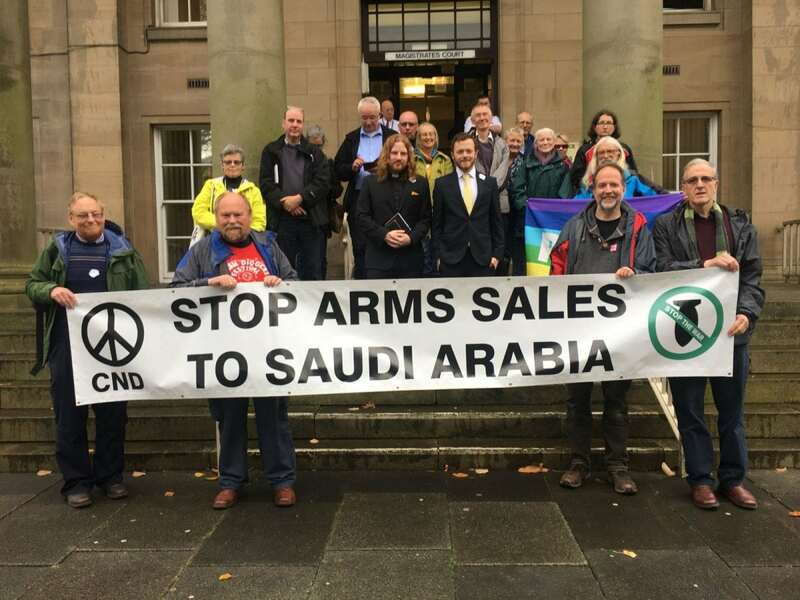 In the same week that Secretary of State for Defence, Michael Fallon, told the House of Commons Defence Committee that criticism of the Saudi Arabian regime and its brutal bombardment of Yemen is a hindrance to arms sales, two activists were acquitted for trying to disarm fighter jets bound for Saudi Arabia. BAE’s Typhoon fighter jets are being used by Saudi-led forces in the ongoing bombardment of Yemen. The UK has licensed £3.8 billion worth of arms to Saudi Arabia since the bombing began in March 2015. Their aim had been to stop the jets, which had Saudi markings painted on them, from going to Saudi Arabia where, the pair claim, they would be used to support the ongoing bombing of Yemen. 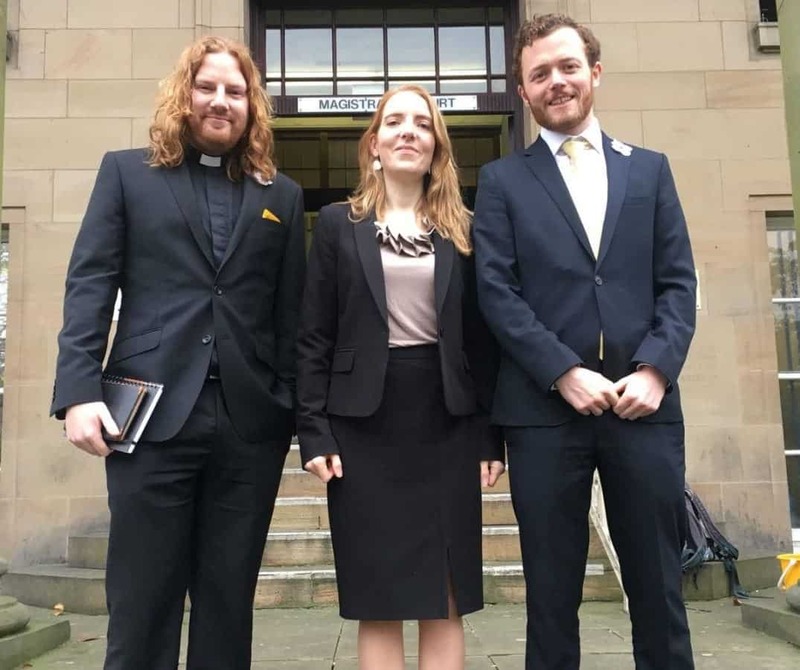 Sam and Daniel successfully argued that their intention was to save innocent lives and prevent war crimes, by physically disabling the warplanes. Andrew Smith of Campaign Against Arms Trade said: “These comments from the Secretary of State for Defence are disgraceful. He is calling on other parliamentarians to join him in putting arms sales ahead of human rights, democracy and international humanitarian law. The Saudi regime has one of the most appalling human rights records in the world, and has inflicted a terrible humanitarian catastrophe on Yemen. Fallon should be doing all he can to stop the bloodshed and end UK complicity in the suffering, not urging his colleagues to willingly ignore the abuses in order to sell even more weapons.